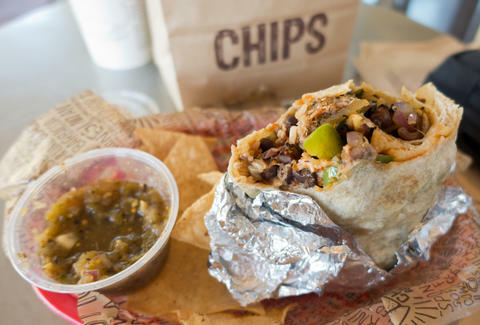 Is Your Chipotle Steak Burrito About To Cost More? It's hard to go wrong with a nice, big steak burrito -- well, unless you're Chipotle, apparently. Even though the chain's steak option costs about 40 cents to 69 cents more than other options like chicken, the rising cost of beef is eating away at Chipotle's profits, according to a report by Business Insider. You might think paying a few nickels and dimes more for steak is worth it now, but if costs continue to increase this summer, executives said they may have to charge you even more for favorite burrito bomb, according to the report. But don't lose your salsa because there's still no solid indication that another Chipotle price hike is actually on the way. The company did mention higher beef and packaging costs in a press release announcing its second quarter earnings on Tuesday, but there's no mention of consumers having to help eat those costs... although we probably would, because steak. Tony Merevick is Cities News Editor at Thrillist and thinks the steak option is worth it every time. Send news tips to news@thrillist.com and follow him on Twitter @tonymerevick.